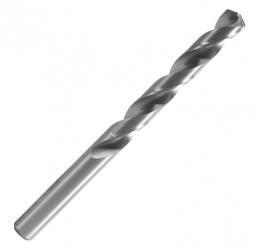 For drilling carbon and alloy steel, cast iron, non-ferrous metal and plastics.
? High quality M2 grade HSS steel for long life.
? Fully ground from solid material.
? 135? split point eradicates the need to pre-drill/ centre punch. Prevents ?walking? and enables faster penetration.
? High performance split point tip.